New laws to strengthen Ukraine's control over Donbas and pave the way for conflict resolution. 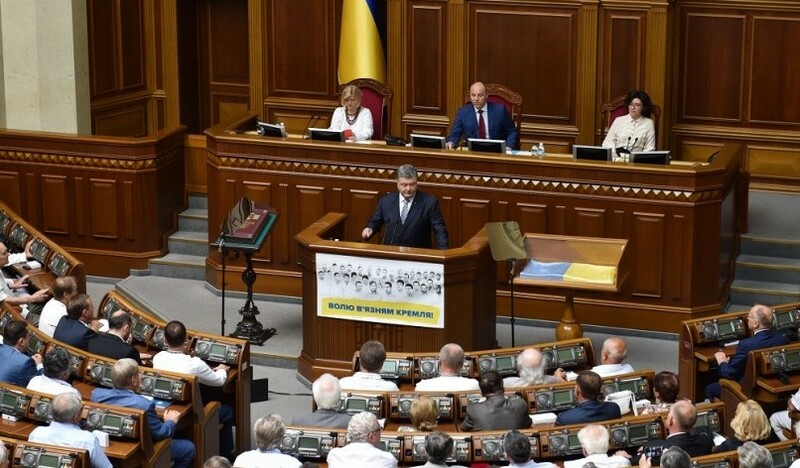 After four months of discussions with domestic and international players, Ukrainian president Petro Poroshenko finally presented two draft laws to the Rada: “On policy of ensuring state sovereignty of Ukraine over temporarily occupied territories of the Donetsk and Luhansk regions” (# 7163) and “On establishing necessary conditions for the peaceful resolution of the situation in the certain districts of the Donetsk and Luhansk regions” (# 7164). Both laws are expected to direct Ukrainian foreign and security policies on Russian and separatist-controlled territories of Donbas. A close analysis of the draft laws reveals that they result both from the need to strengthen defence against Russia and to reflect the interests of Ukrainian power players. Additionally, these laws include important elements of a possible peace plan, which may fit into the wider picture of international efforts to bring conflict between Ukraine and Russia to an end. After Poroshenko’s landslide victory in 2014, the authors of this commentary argued that the new Ukrainian president was an excellent example of a post-Soviet opportunist politician facing the challenge of limited presidential powers. Despite successful efforts to strengthen his influence over the parliament, cabinet of ministers, and judiciary, Poroshenko has not been able to capitalize on these achievements and has faced new threats to his power from within his coalition government and from the opposition, making his chances for the next elections in 2019 seem less certain. Poroshenko had to yield to public pressure following the Donbas blockade of January 2017, when groups of Ukranian war veterans and volunteers blocked transportation routes into the Russian-controlled "DNR/LNR" (Donetsk and Luhansk “People’s Republics”). They demanded the release of POWs and a stop to trade with separatists, which Ukrainian oligarchs profited from. Poroshenko subsequently established an official trade blockade of the occupied territories. However, this blockade did not restrict movement of people and humanitarian supplies across the contact line. Poroshenko has acted to prevent the growth of popular dissatisfaction and alliances among his opponents. The blockade gave him a reason to take a harsh public stance toward Russia and its agents – real or imagined – inside Ukraine. He also championed many initiatives previously lobbied by the so-called “hawks” from the rival-partner political party “People’s Front” on various initiatives which lead to prohibiting Russian social media and establishing stricter border control with Russia. These new legal tools are intended to further strengthen Poroshenko’s political position by giving him greater control over military and security structures. Makes JOC a top decision making body, which also governs civil-military administrations in the conflict zone. Prolong the validity period of the law “On the special order of the local self-government in certain districts of the Donetsk and Luhansk oblasts” for one year after complete withdrawal of the foreign troops and armaments. The former draft law passed its first reading in parliament on October 6, and if adopted into law in its current form will help Poroshenko to withstand pressure from the radicals within parliament over future concessions on Donbas. The latter law was adopted and signed by the president on October 7. The two laws will make it possible to terminate the legally questionable “Anti-terrorist operation” and establish a legal framework for a comprehensive defensive military operation. They also make it easier for the president to dissolve inefficient local councils in the Kyiv-controlled parts of Donbas to improve administration and provision of basic needs to communities in the conflict zone. Although there is a political risk that the extension of power may be abused to suppress political opposition, so far Poroshenko’s actions uphold the image of a democratic-minded leader as he wishes to be seen by the West. Are the new laws conflict resolution tools? Since 2014, a major concern of the Ukrainian government has been the unwillingness of the West to recognize the direct involvement of Russian political and military efforts to destabilize Ukraine. It is understandable that for diplomatic reasons, the US, Germany, and France have to accept the Kremlin’s “plausible denial” about the absence of Russian regular troops in Donbas. However the negotiations in the Normandy and Minsk formats have shown that Putin has no inclination to change his behaviour and opt for a face-saving solution. Ukrainian authorities have repeatedly asked for Russia to be treated as a belligerent rather than a mediator in the conflict. In the absence of this, Poroshenko needed to demonstrate the nation’s willingness to confront Russia, in spite of political or economic pressures from European powers interested in de-escalating tensions with Russia. The law, by defining Russia as aggressor, makes it responsible for seizing territories in Donbas and installing repressive, criminal regimes in “DNR” and “LNR”. This will also place legally binding limits on Ukrainian negotiators and diplomats on the kind of compromises or deals possible in the course of international negotiations. It means that to be acceptable for Ukraine, a peace plan will have to include verification mechanisms for the ceasefire, the withdrawal of occupation troops, and disarmament of irregular separatist groups. Ukrainian authorities are unlikely to risk signing any peace agreement unless it is backed by a commitment from the West to reintroduce punitive measures on Moscow if Russia quits the peace process. This could be done under the auspices of a UN peacekeeping force, which is suggested by the provisions of law #6174. It extends the law “On special order of local self-government in the certain districts of the Donetsk and Luhansk regions” for one year. This prescribes the terms of the transitional administration of the occupied territories once they are liberated from Russian troops and illegal armed formations. Thus Ukraine clearly indicates that a UN peacekeeping mission should have a mandate under chapter VII of the UN Charter to observe disarmament, conduct policing missions, and monitor the Ukrainian-Russian border. 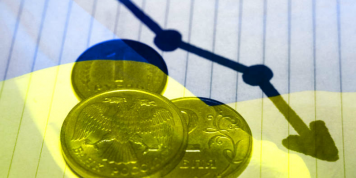 It practically means executing some functions of the state and creating a security environment that would allow IDPs to return and participate in the free and open elections of representatives who would start negotiations with the Ukrainian government about terms of coexistence. This is currently a burning political issue in Ukraine, which leaves Poroshenko with little room for manoeuvre. Due to pressure from both coalition partners and opposition factions, Poroshenko had to delete all provisions mentioning Minsk agreements from the draft laws. Still he is attacked from all sides for extending the possibility of special self-government in Donbas by one year, although American, French and German representatives have praised this decision. However, it is difficult to imagine that in the given international situation, on the eve of presidential elections in Russia (or even afterwards), Putin might agree to such a UN mission. It would provide Russia with an exit strategy but would also be tantamount to admitting his failure to gain veto power over Kyiv with the help of institutionalized separatist autonomy within Ukraine. If Putin’s reading of Minsk is buried, he is likely to continue to destabilize Ukraine through low scale clashes, special operations, and artillery bombardments across the frontline but is unlikely to go for a full-scale invasion. In this scenario, there is no reason for Poroshenko to continue his diplomatic game with Putin as it could destroy his chances for re-election in May 2019. The Ukrainian president has ruled out war as an option. After the draft laws were submitted to parliament, Viktor Muzhenko, chief of General Staff of the Armed forces of Ukraine, endorsed president’s vision by saying that in case of a hypothetical Ukrainian offensive operation in the Donbas, Kyiv could succeed but at a high cost of dozens of thousand casualties within the first ten days. Invitation to re-draft Minsk and to remember Crimea? Since both Ukrainian and Russian leaders are concerned about their own political fate, doubtful about the ultimate success of using force in the Donbas and constrained by international pressures, they may independently come to the conclusion that Minsk agreements do not serve their interests. Thus, for Russia it may sound reasonable to agree with the idea of the “finlandization” of Ukraine, proposed by former American diplomats Henry Kissinger and the late Zbigniew Brzezinski. Moscow is more interested in keeping Ukraine out of any kind of European/US-backed alliances than in using parts of Donbas as an ugly illustration of the “Russian world”. Moreover, the confluence of radical pro-Russian nationalists and criminal networks operating in the occupied territories could get out of control and begin to pose a security risk to Putin’s regime. Ukrainian authorities have to decide whether reunification of Donbas, which may be gradual and dependent on some kind of international trusteeship, is worth giving up NATO and/or EU membership perspective. It will also force Ukrainian politicians to decide whether they want to liberate Donbas from Russia or leave part of it under separatist rule while defending the rest of Ukraine’s territory and pushing forward on reforms. Also, the law on the policy toward the occupied territories will prohibit the idea of “exchanging” any form of recognition of Crimea’s annexation for peace resolution in Donbas. Although it constrains Ukrainian diplomats, it also protects them from Russian diplomatic pressure or European wobbliness on Crimea. A way out of the Crimean deadlock could be to initiate negotiations with Russia about demilitarization of the peninsula. Since 2014, Crimea has been transformed into a military base with huge offensive capabilities that cannot be put down to the probable threat from Ukraine. 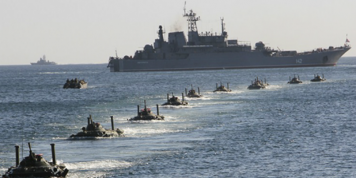 It is more likely there to intimidate not just Ukraine but other states in the Black Sea region and Mediterranean. Thus, the international sanctions imposed for the annexation of Crimea must be reinterpreted as a tool against security threats in the region and augmented proportionally to the Russian military build-up, especially possible stationing of nuclear weapons. Certainly, they should be subjected for review and relaxing if the situation changes. In the next two weeks, the law “On policy of ensuring state sovereignty of Ukraine over temporarily occupied territories of the Donetsk and Luhansk regions” will be prepared for its final reading in parliament. The opposition and “People’s Front” will try to diminish Poroshenko’s right to control military and law enforcement agencies, though it will have to do so carefully to avoid appearing to side with the Kremlin. Also, the new provisions about the occupation of Crimea can be inserted to attract international attention to the annexed peninsula and Russian military preparations. Ultimately, the laws introduce a legal framework for Ukraine’s defence if Russia decides to continue confrontation. They also set coherent directives for powers to forge a soundtrack toward peace, even if Minsk agreements are to be altered. Olexiy Haran is Professor of Comparative Politics, National University of "Kyiv Mohyla Academy", and Research Director, Democratic Initiatives Foundation, one of the eldest Ukrainian think tanks (Kyiv). Petro Burkovskiy is a Head of Department, National Institute for Stategic Studies (Kyiv).